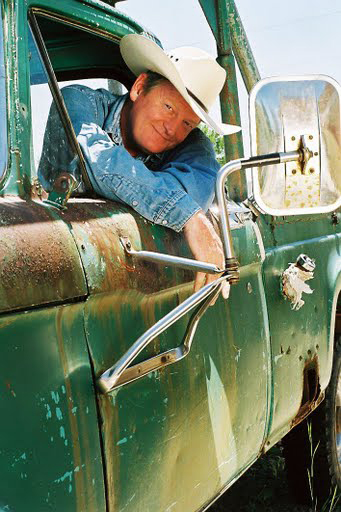 Craig Johnson has received high praise for his Sheriff Walt Longmire novels The Cold Dish, Death Without Company, Kindness Goes Unpunished, Another Man's Moccasins, and The Dark Horse, which received a superfecta of starred reviews from Kirkus, Booklist, Publishers Weekly, and Library Journal, and was named one of Publisher's Weekly's best books of the year (2009). Each has been a Booksense/IndieNext pick with The Cold Dish and The Dark Horse both DILYS award finalists and Death Without Company the Wyoming Historical Association's Book of the Year. 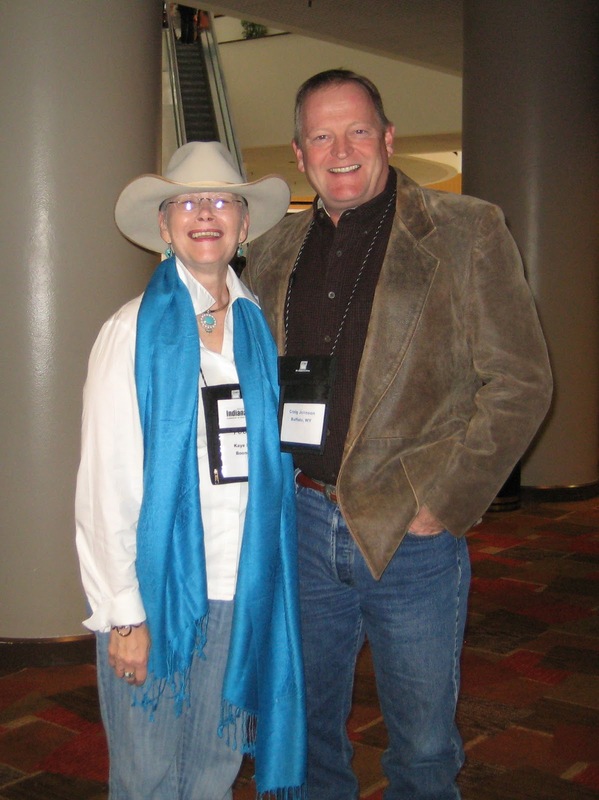 Another Man's Moccasins received the Western Writer's of America Spur Award for best novel of 2008 as well as the Mountains and Plains award for fiction book of the year. 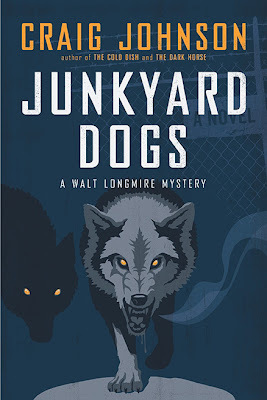 The latest Walt Longmire novel, Junkyard Dogs, was released by Viking on June 1, 2010. The Cold Dish was translated into French in 2008 as Little Bird and is in competition for Le Prix du Polar Nouvel Observateur/Bibliobs. It was also selected for Le Grand Prix des Litteratures Policieres and was a finalist for Le Prix 813. Death Without Company, Le Camp des Morts in French, was just released in April of this year. The Dark Horse will be translated into Czechoslovakian in 2010. Craig is a board member of the MWA, having been elected as a member at large. He lives in Ucross, WY, population 25. Since A&E green lighted, (green lit, green illuminated?) the pilot for Longmire, I’ve been inundated with questions and advice from folks with sometimes very strong opinions about the actors who should play the venerable sheriff. I’ve pretty much dodged the question about who should play Walt by answering Gary Cooper, but I’ve gotten about as much mileage out of that as I’m going to… In all honesty, I’ve heard other authors describe their characters as ‘an older Daniel Craig’ or ‘a brunette Reese Witherspoon’. I’m always surprised by that because I just don’t use actors as models for my characters for the simple reason that I don’t know any of them. I once handed Reese Witherspoon a toothpick at the California Pizza Kitchen in Brentwood and she was very nice, but I don’t think that counts. I tend to use people I know as characters in my books, simply because they are people I know. Sometimes it’s something in their physical appearance, but more likely it’s a gesture, a phrase, or some kind of telling character trait. Appearance doesn’t mean all that much to me, I have to confess, and with an actor you get that and the character of whomever they might be playing. I guess I find it confusing when assembling a character from someone who’s already assembled their own. For me, the outside of a person is under the direct influence of the inside person. There are an awful lot of inferences that tell me about a person when I’m looking at them, and very few of them have to do with whether the person is good or bad looking, and I’m pretty sure that the guy Warner Brothers Horizon and A&E come up with will probably be better looking than the Walt I’ve got in my head. And probably shorter, since Walt’s 6’5” and everybody in Hollywood is 5’8”. The casting directors are starting with Walt, and rightly so since he’s the linchpin for the series. Whichever actor they get for that roll will have a direct effect on whom they get to play Henry, Vic, Ruby, and all the others. Hell, it might even affect who plays Dog. I’m seeing a Rin-Tin-Tin with just a touch of Buck in Call of the Wild--the seminal, Clark Gable version. Even though I’m a ‘creative consultant’ to the series, the producers don’t have to ask me much, so I’ve been amazed at how extraordinarily responsive the team has been to any input I’ve had. I’m careful though, realizing that this is an entirely different medium and that they have to do things for certain reasons that I might not at first understand because of my limited experience in film and television production. When the producers told me they were most likely going to make Walt a little younger than in the books, I immediately wanted to know why. They patiently explained that they were hoping that this might be a long-lived series on A&E and they’d just as soon not have Walt on a walker by season six. I had a hard time arguing that one. It’s all a learning experience for me, along with the realization that the TV series won’t be exactly like the books. I think when you find yourself in a collaborative artistic effort (i.e., producers, directors, casting directors, screen writers, and actors), you either have faith in their connection to the material or you don’t. I’ve got a lot of confidence in these people, because of their conviction in the novels. They love the characters in these books and are remarkably talented, with extended track records of fine work—so most of the time I spend keeping my nose out of it until asked. So, who’s going to play Walt in the A&E pilot of Longmire? I don’t know yet—but I bet he’ll be different from the one in our heads—and I bet’cha he’ll be good. Such a terrific writer and he takes great pictures too! Thanks, Kaye and Craig, for a wonderful start to a new year with M and M! I have to admit I have high hopes for this. 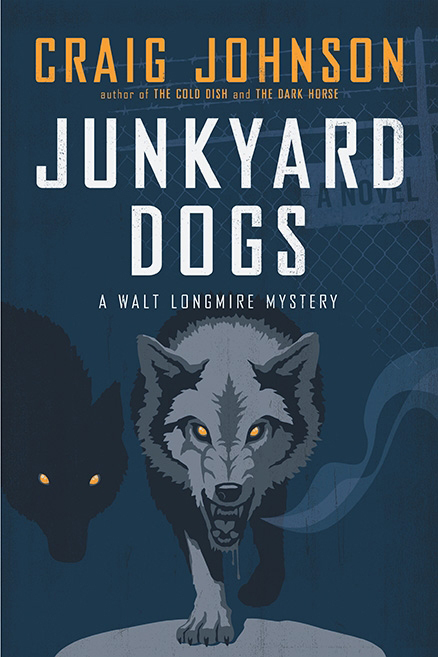 Ever since I started reading the Walt Longmire series, it's meant more to me with book. Mr. Johnson can really draw characters and scenes with the best of them. Plus, the western genre, classic or modern, is a favorite of mine. My thanks to Craig and Kaye for a wonderful post. Kaye, thanks for this wonderful post. Craig, I'm not sure which I'm more fascinated by the fact that you live in a town of 25 or your outlook on changing your book into a TV series. :) Here's hoping they don't change your characters very much. Best of luck. Me again. Craig, I forgot to ask is your dog an English Shepherd? I absolutely love this series. True, true love! Excited about the TV series and why couldn't they find a 6'5" person to play Walt - I know Hollywood is the land of short people but geez! Of course, I live in the land of tall people - husband 6'3", son-in-law 6'7", son-in-law's brother 6'10". I guess it's relative. Thanks for hosting Craig for us, Kaye. Can't wait for more adventures for Walt and company. Great post! I can't wait to see what they do with this. I'm with A&E. I hope it's a successful, good, long-running series. And, Kaye? You don't look very short either, but that's coming from someone who is only 4'11. I still remember dining with you and your lovely wife at the Denver Press Club during one of the rare trips you made to a meeting of the Rocky Mountain Chapter of MWA. I enjoyed your company and soon fell in love with your series. I can't count how many times I've recommended it. I'm so please to see long-deserved success coming your way. Craig and Kaye, thank you! I've loved Walt since book one when it first came out, loved the newest so much, look forward to many more! Truly lovely photos (and Kaye, yours are so very good also), thank you. I'm from a tiny town though not 25, isn't much more, so understand a lot of your presence. :-) Again, so many thanks, I had not known about a tv series but will watch it...unless they ruin it, ha. Keep writing, Craig! Keep up the good blogging, Kaye. Enjoyed the interview, and will be looking forward to the series--and WHO plays the lead! Really looking forward to seeing what A&E comes up with, and like others hope they don't ruin it! Someone asked about the dog, isn't it a Bernese Mountain dog? Thanks Kaye for having Craig do a post. Craig's books have been a favorite of mine since the first one (The Cold Dish)! I love his characters and his descriptions of the area. Congrats, Craig, on having an A&E series. My husband and I love the Longmire series, and for years I have been touting it in my talks on good mystery writing. Can't wait to see what the stories look like on film. Hi, guys - sorry I'm so late in getting here. My first week back to work after being off for two weeks has been hectic. Nice to see so many Craig Johnson fans here. It was fun reading what he had to say about his new A&E pilot, huh? Wishing you all the Happiest of New Year's ! Lesa - 4'11" ! you are a petite little thing! I'm 5'4" or 5'5" (depending on if I remember to stand up straight). Thanks, everyone, for stopping by. It's going to be a terrific year at Meanderings and Muses and I hope to see you all here often. Patty's correct...Craig's dogs are Bernese Mountain dogs. Craig is one of the authors I recommend to anyone and everyone! I'll be interested to see how A&E treats our favorite sheriff and crew. I will catch up on the series before the show airs, I assure you. That is so cool, Craig! I have fantasized for years about someone turning my book into a series, and I have pictures on my wall of the two main characters (helps me write them). I'd have a hard time not interfering with the casting, so I admire your restraint. Best of luck, and thanks for the article.